I reached out to him via the website and got no response. I'm planning on trying again soon, but I'm beginning to think that a 3-month wait is not out of the ordinary so I'm not panicking just yet. happen use the contact form on the site. Thanks UFO, appreciate the support. Thanks pippen, and someday the draug 2 may end up not being offered anymore as it is very hard to sustain labor wise and is sort of a clog in the pipes production wise. While this would be sad for me personally as its my own creation (hate to see it go), it may have to be a reality at some point. At the very least price may raise on it due to the labor being utilized. Yours is set to go out today or tomorrow, and compensation will be sent for the longer delay if it has not been already. Songmic, I know who you are as you are a customer multiple times in the past years, I do not see your email but will check now. Draug 2 do have the longest wait times due to the insane labor on the build and popularity. I will get you an email soon with an update. Please send me a PM, if you have already I will check on this and see why it is not shipped. We did have a wood splitter delay on some orders, and also a parts delay for a few others. so I can search my inbox in regards to your question. Apologies if the questions was missed. The bottom line is, as long as you have an order in, you will be getting your cable shipped out. It is not my goal to have people unhappy having to wait for their cable, and given the high demand I am doing my best to meet the ship times. When they are missed I typically always compensate in some fashion (upgraded shipping, coupon code, etc.). things are still on good pace to get the backlog back to where it should be. Please email via contact form on the site with your order number for status update and you should get reply today. I will be replying to PM's now, and checking for any missed emails. the email to make sure I do get it. To those who were nervous or had their doubts, this is why you should feel comfortable purchasing a cable from Trevor! He genuinely cares and is proud of his cables/offerings. You don't often see such a personalized method for dealing with customers. Big +1. Trevor is truly an honest and hard working guy. I've bought cables from him for years now and have recommended him to friends many times over. In fairness, he has more business than he can get to. I see him making moves to increase his efficiency and I think that the wait times will be appreciably less once he's caught up, IMHO. For those who are still waiting, hang in there! Trevor will get to you and I think that you'll be receiving the finest craftsmanship on the market. Agreed, it took a little extra time to get the cable I had ordered from him, but it was totally worth it. It's absolutely a premium product. No regrets. Got a reply from Trevor. As a returning customer for several years, I can definitely vouch for the quality and craftsmanship of his cables. He didn't used to be this busy back in the old days, must be swamped with all the work and emails now that the popularity of Norse/Norne has spread far and wide. My Draug v2 will be shipped out next week. Tim to share some photos of Trevor's excellent craftsmanship! 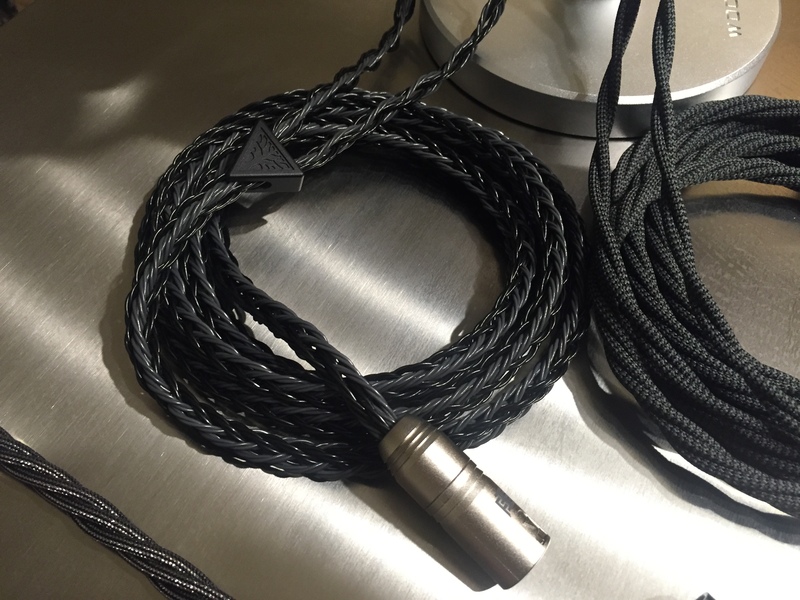 7ft grey/black draug2 with black stealth aluminum splitter, eidolic 4pin tellerium copper/gold plated xlr. 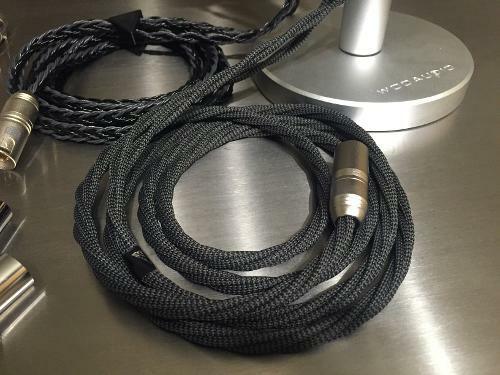 7ft silvergarde S grey/black herringbone - same tecu 4pin as other cable. reverse phase right channel only with special silver bling sleeve. Red sleeve to designate right channel special adapter for RPT. 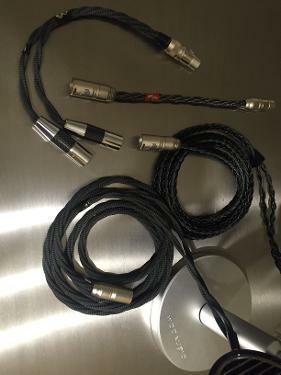 Other adapter is a nice dual3pin to 4pin xlr adapter: using valab carbon fiber barrels with tellerium copper and rhodium plated pins. Sleeve is grey/black herring bone to match edition X cable. How do you like the silvergrade S? What is the pricing on these, I couldnt find them on the website. If also like to give Trevor some credit where credit is due. I've worked with about 4 different custom cable makers over the years... now, what I'm about to say is a very general statement but needs to be said - most cable makers are terrible at getting back to folks. For one reason or another, they just are. Trevor is the one glaring exception to that norm. I mean, I emailed him yesterday and heard back in a couple of hours. The last time we emailed (about two weeks ago) he was just as responsive. This level of contact/communication is unheard of in the world of cable making (from what I've seen, anyway). Honestly, this cable order has been the least stressful order yet, and if all goes well with the new cable once I receive it, he'll have a customer for life. Just wanted to lend some support. I know some of ya are waiting for a while now but, at least we know why the the delay happened, that he's totally trying his hardest to fulfill orders ASAP, and heck; he's also compensating folks for the delay. Can't ask for anything more, really. 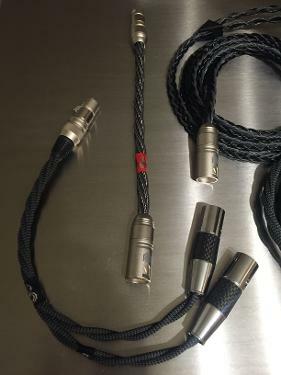 which ciem cable would you suggest guys ? Just ordered a Vanquish for my HE-400i and 400, looking forward to receiving it! Love that the adapters are offered so I can just use one cable and use adapters as needed if I end up with a different brand of headphones in the future. Just wanted to add another happy customer post! 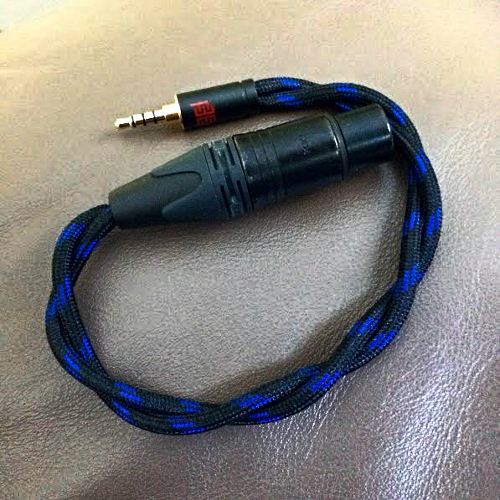 My Zoetic cable for my HE1000 continues to amaze me. I was quite skeptical going from the stock cable to my first custom cable, which I loved, and I was even more skeptical about going from that to the Zoetic. (Norne's refund policy was a big factor in me ordering, but after listening I'm not going to have to use it!). It's astonishing how engaging and clear and smooth music sounds now. 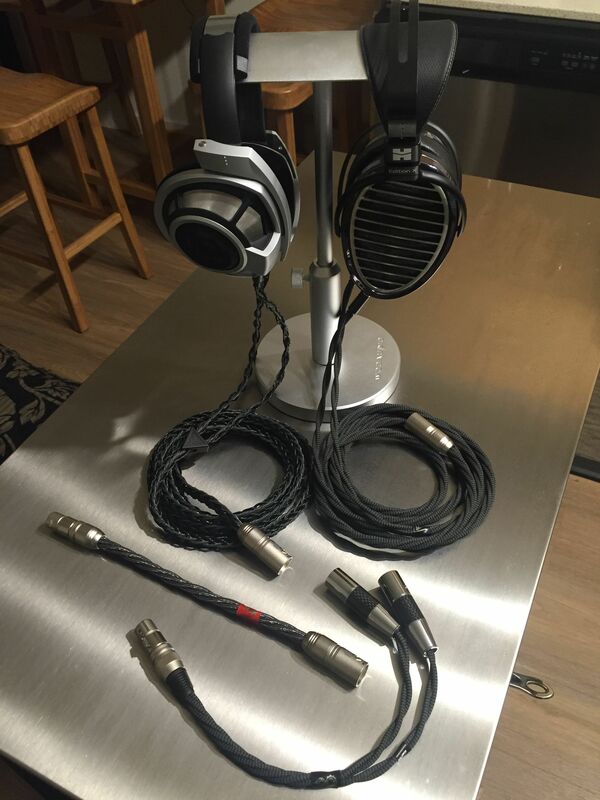 I can't recommend buying Trevor's cables enough for TOTL cans. Thanks Song, your tracking will be sent soon. Once this SG-S clear edition is in stock this coming week it will be listed on the site. The original version has been email orders only for a while. Thanks Eric for the post and kind remarks. You will have an email soon. Thank you to all for the patience and support along the way.